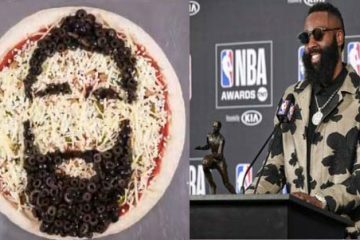 HOUSTON — Time to share a piece of that “pizza” pie J. J. Watt, because James Harden is getting a whole lot of that Papa John’s love! 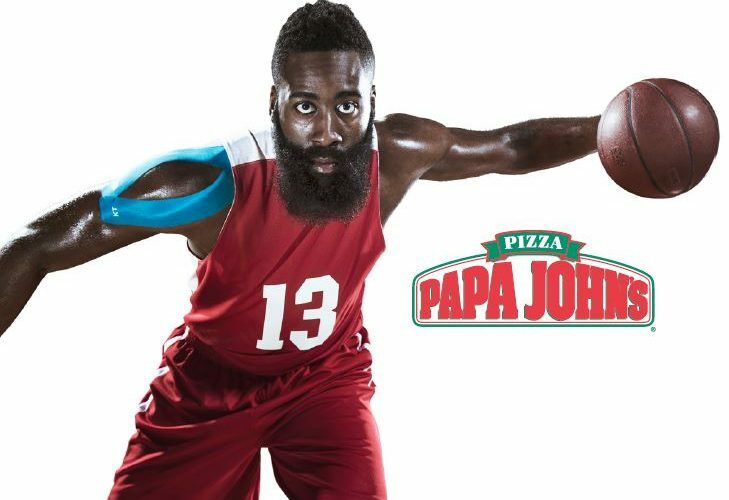 Just in time for the start of the 2016-2017 NBA pre-season, Papa John’s Houston is proud to announce a partnership with beloved Houston Rockets guard and prolific shooter, James Harden, to offer Houstonians a special price on Wednesday nights, while giving back to local youth throughout the year. 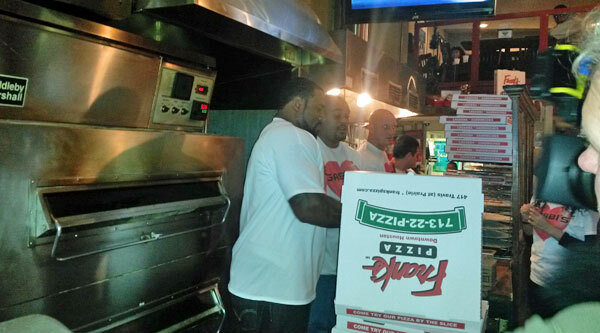 The partnership will marry Harden’s love for Papa John’s pizza with his passion for giving back to young athletes. Throughout the 2016-2017 basketball season, Houston-area fans can take advantage of “Harden Wednesdays,” enjoying fifty-percent-off discounts on all large, one-topping pizzas whenever James Harden plays on a Wednesday night. 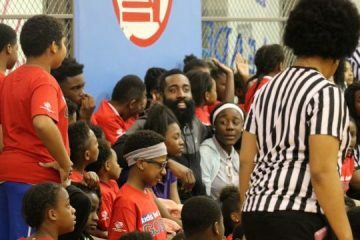 Additionally, thanks to Harden’s dedication to growing young basketball players, which can be traced back to his own experience in the Amateur Athletic Union (AAU) Boys Basketball league, along with Papa John’s Houston’s ardent commitment to making a difference within the Houston community, the local pizza giant will be supporting Harden’s AAU team, basketball camps and additional charitable endeavors throughout the year, through ongoing pizza donations. 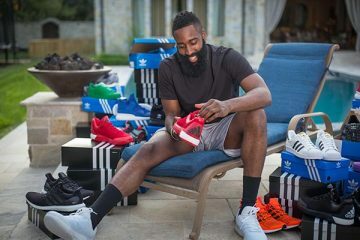 While many Houstonians have come to recognize Harden for his long beard and jovial spirit, his achievements within basketball have contributed to the widespread adoration of the NBA icon. The third overall pick in the 2009 NBA draft, Harden was named the 2012 NBA Sixth Man of the Year just a few years later. Not only has Harden received NBA All-Star nods four times, but he also earned All-NBA Team honors three years in a row as well, with All-NBA third team honors in 2013 and All-NBA first team honors in both 2014 and 2015. In 2015, Harden was the first player to receive the National Basketball Players Association (NBPA) MVP Award, a recognition he won based on votes from his peers in the NBA. Likewise, results from the 2014-15 Kia NBA MVP Awards recognized Harden as the league’s runner-up MVP. 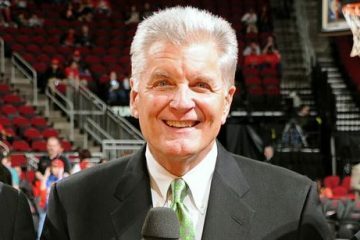 Steadfast in its hometown pride, Papa John’s Houston has added a key ingredient to its lineup of talent within its Houston sports portfolio; this partnership with the most well-recognized name in Houston basketball, James Harden, comes on the heels of the Houston pizza franchise’s partnership with JJ Watt, the biggest name in Houston football. 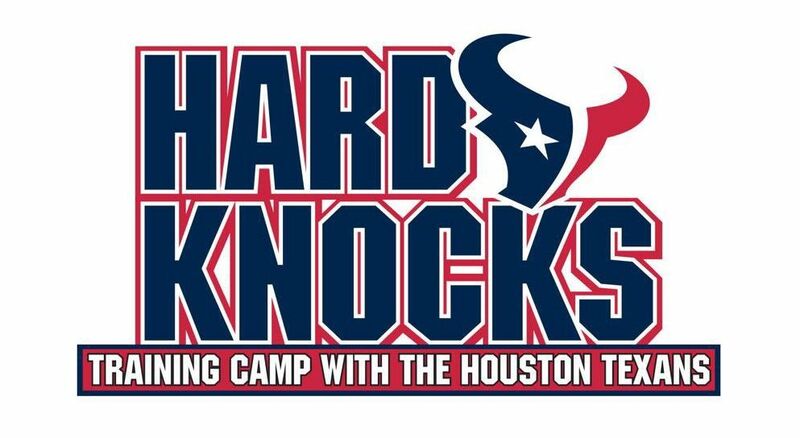 Harden is also joining Houston-based collegiate sports programs and professional teams as Papa John’s partners, including the University of Houston, Houston Dynamo, Houston Astros, and Houston Texans.